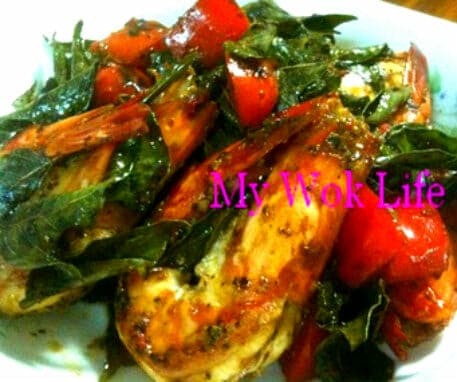 I never thought such delicious prawn dish could be assembled that simple, initially. 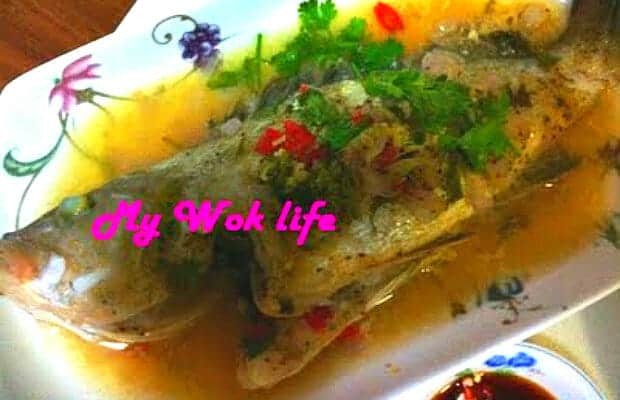 It might not look as beautiful as what the famous restaurant presents, but you would be impressed by the taste, or the simple steps found in this recipe. 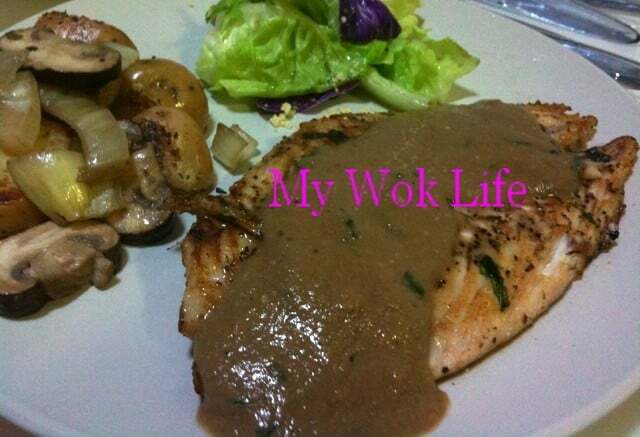 I cooked this to complement my Nais Lemak dinner the other day. 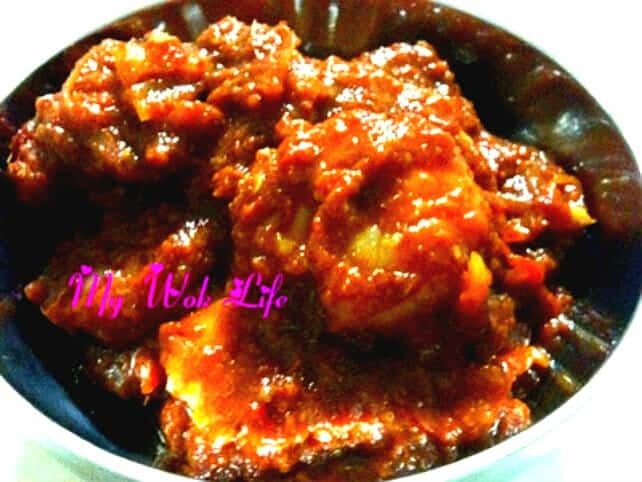 Recipe was given and taught by my mum. The sweet-spicy mouthwatering Sambal, the complementing prawns, the sweet crunchy onion… This simple to cook dish was perfectly delicious! 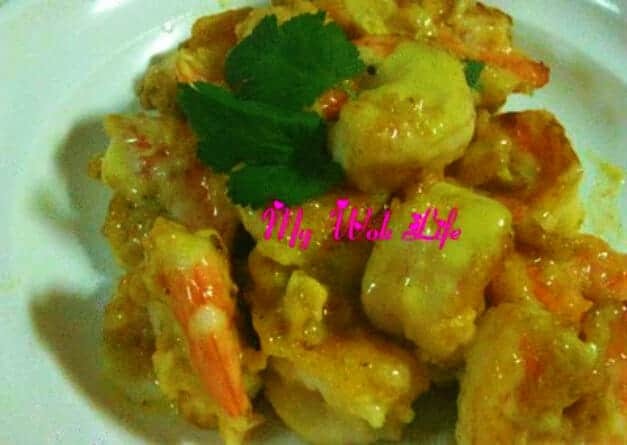 This recipe I saw in a TVB cooking show (created by a popular HK celebrity) represents an interesting variation on the conventional sweet & sour flavor of the prawn dishes. 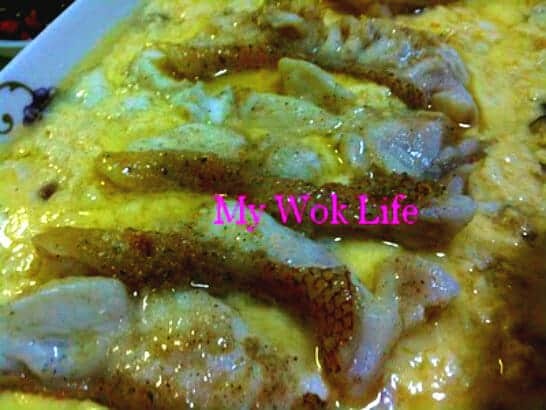 This recipe incorporates the rich and refreshing marmalade, and good thing is, you probably need not to purposely buy this ingredient for the dish, it might already been seating in your drink pantry all these while… What this recipe add is the Honeyed Yuzu (called it Yuja in Korean) marmalade that uses to make drinks. 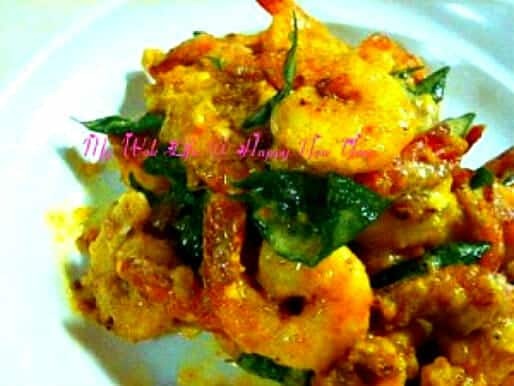 The Black Pepper prawn is the best option, if you have craving for shellfish instead. 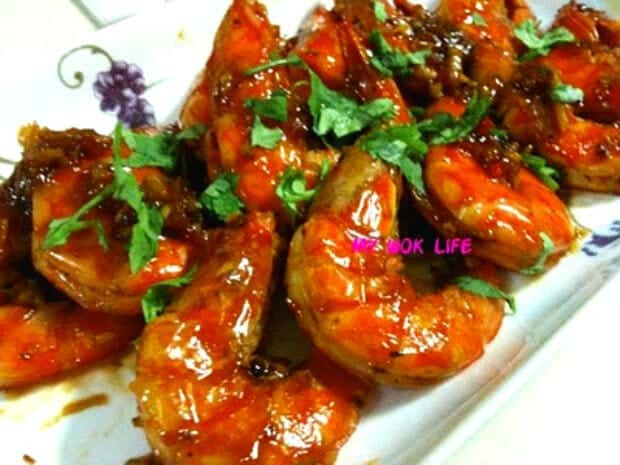 And, this recipe takes full advantage of having the flavor packed in the prawns, along with the natural aromatics such as capsicum and onion to infuse the base for refreshing and fragrant sauce with the natural sweetness.